Belize is only the size of Northern California yet contains an incredible amount of biodiversity and tremendous cultural history. We’ll visit several ecoregions in Belize as well as two ancient Mayan cities – now partially restored. 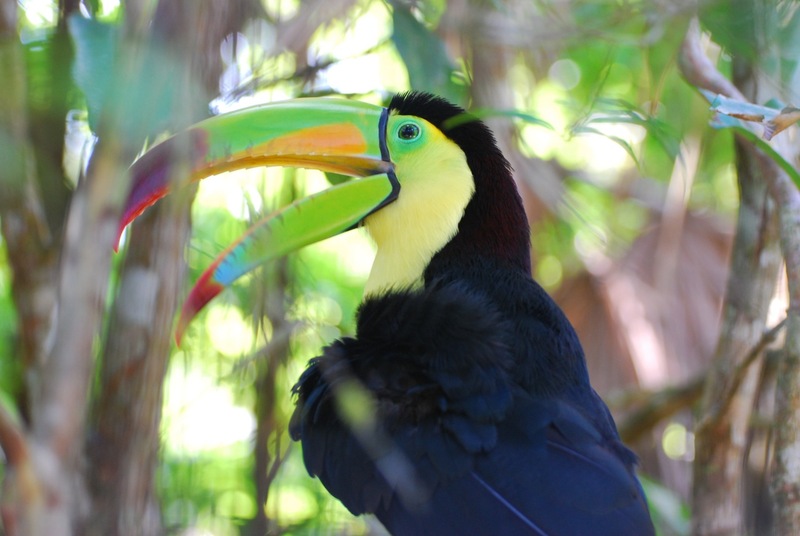 The Belize Zoo and the Maya Mountains are also on our agenda along with Coral Reefs, Toucans, and an Underground River (among many other sights and sounds). We start our adventure as we board our planes to reach our ultimate destination: Belize. Once in Belize, we’ll receive the warm hospitality of the Tropical Education Center, Mama Noots Eco Lodge (in Bocawina-Mayflower National Park), Blue Creek Field Station, South Water Caye, and the Toucan Ridge Ecology and Education facilities. Each of these locations affords us a base of operations as we explore the unique features of that area including the myriad kinds of flora and fauna we’ll encounter. Special trips to Xunantunich and to Lubantuun also allow us to experience these ancient Mayan cities and to reflect on the civilization that ruled this area of Central America a thousand years ago. 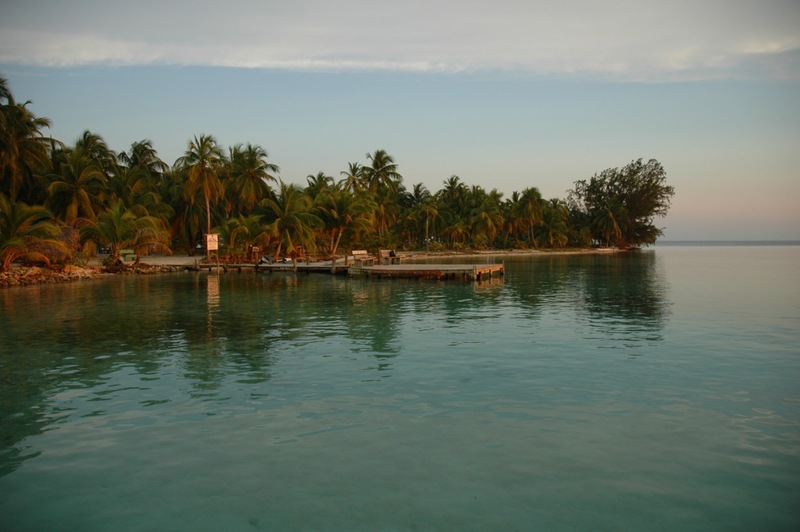 January 5 – Arrive in Belize between noon and 4:00 pm. Tonight at the Tropical Education Center. We will have a special guided night tour of the Belize Zoo with some of their wildlife care specialists. January 6 – Day trip to Xunantunich. After Xunantunich we will be taken by bus to Mama Noots Eco Resort which is located in the boundaries of Bocawina-Mayflower National Park. January 7 – Activities in the Maya Mountains at Bocawina-Mayflower National Park (relaxing, hiking, zip lining, waterfall rappelling) – note that the zip lining and rappelling are at extra cost. Tonight at Mama Noots. 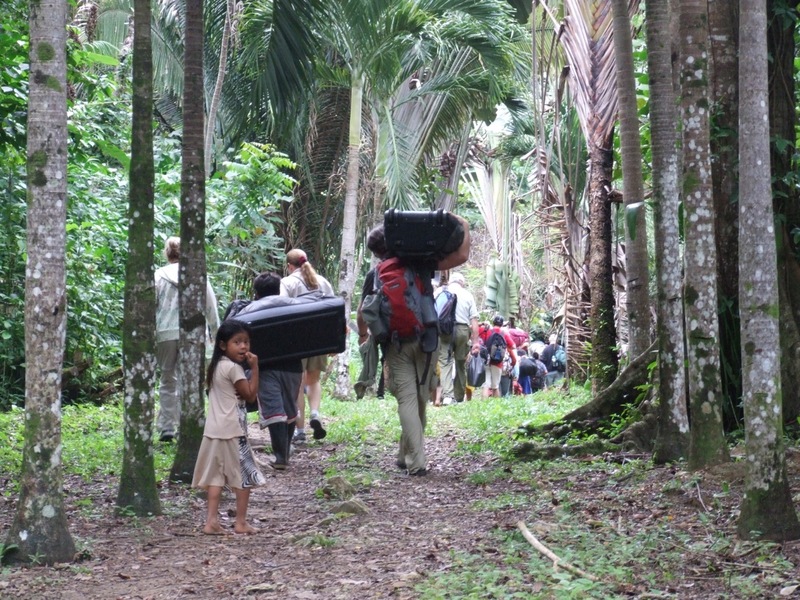 January 8 – Bus picks us up and we go to Blue Creek in the tropical rainforest of southern Belize. Tonight at Blue Creek. January 9 – Guided hikes in the forest at Blue Creek. Tonight at Blue Creek. January 10 – Guided hikes in the forest at Blue Creek. Evening activities at Blue Creek. 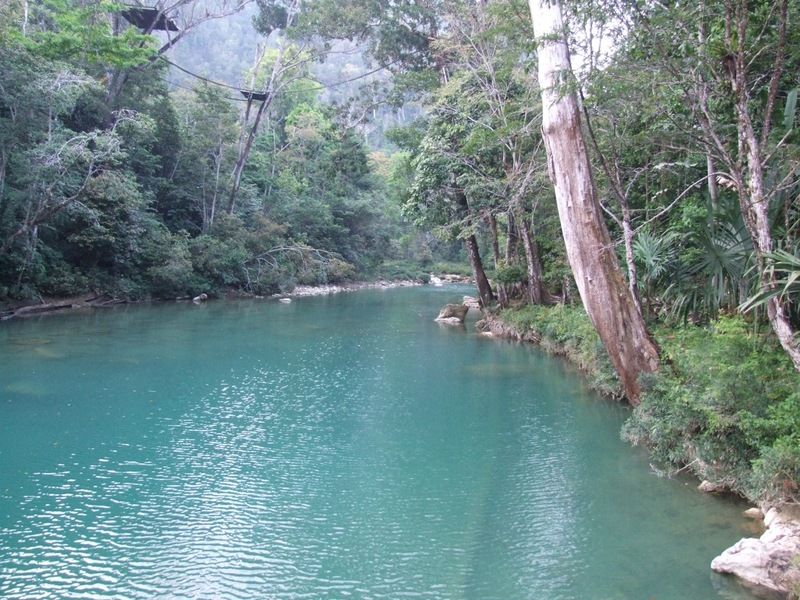 January 11 – Depart Blue Creek and visit Mayan ruins at Lubantuun. Lunch in Dangriga at a small local open-air restaurant. Boat ride to South Water Caye. January 12 – Activities at South Water Caye – along the barrier reef. January 13 – Activities at South Water Caye – along the barrier reef. 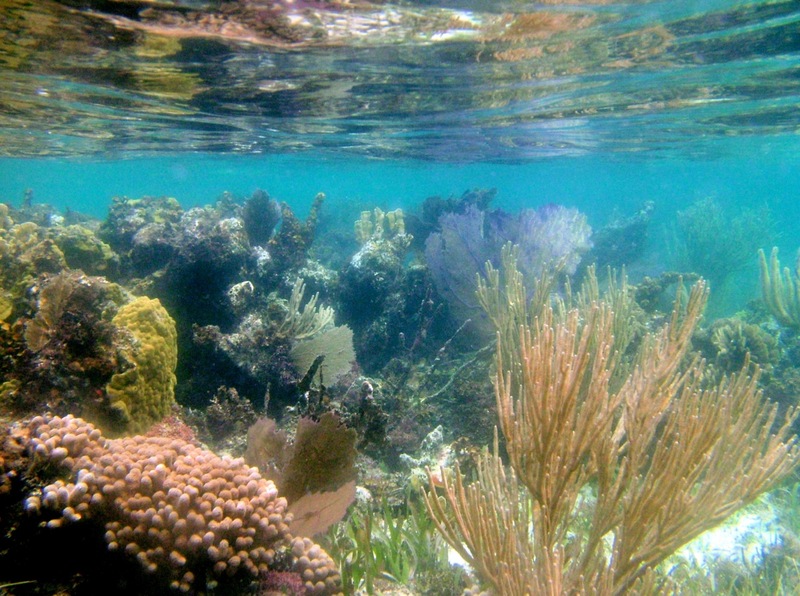 January 14 – Activities at South Water Caye – along the barrier reef. January 15 – Boat ride back to Dangriga and then we’re driven to the TREES facility. January 16 – Activities at the Maya Mountains. Evening Sambai. January 17 – After breakfast we’ll have a little bit of time to relax before we get picked up by bus for the ride back to the airport. Arrive back in Sacramento this night. Some of you might choose to stay longer and you are more than welcome to do so. More in-depth daily details of our activities are provided in below sections…. Lodging is generally dorm-style with the chance to upgrade to double-occupancy cabanas for more cost (and based on availability). The food is wonderful at all of these lodges and field stations and there are also vegetarian options available (but no vegan options – sorry). We will need to have some money for a couple of lunches while we are driving to new locations and as we come back to TEC from Xunantunich. In Belize, chicken is a major staple of lunches and dinners – the spices used in Belizean stewed chicken makes it simply wonderful…mmmm, mouth is watering just thinking about it! Day 1 (January 5, 2014) – We will need to arrive in Belize in the afternoon to meet the charter bus at the airport (Noon) that will take us to the Tropical Education Center. 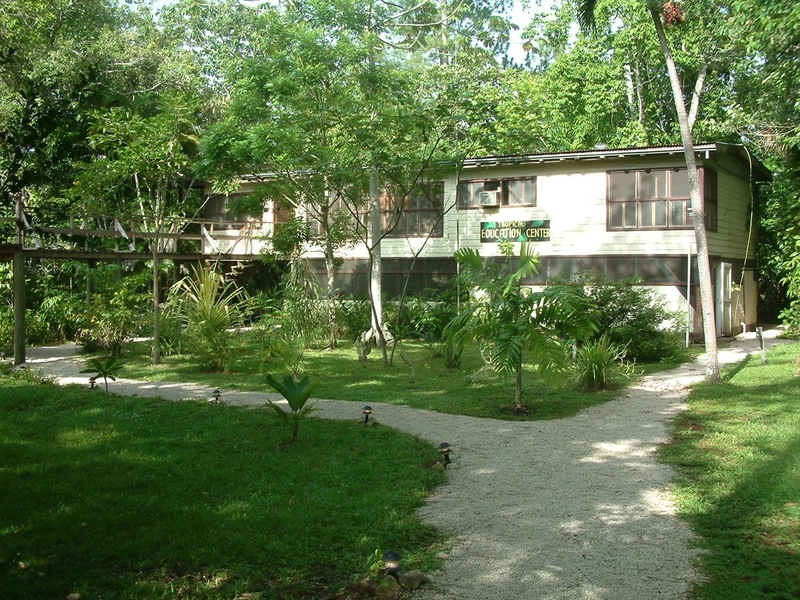 The TEC is a component of the Belize Zoo and is located in the savanna and pine woodland of central Belize. After dinner we’ll go to the Belize Zoo for a private guided night tour of the Zoo. 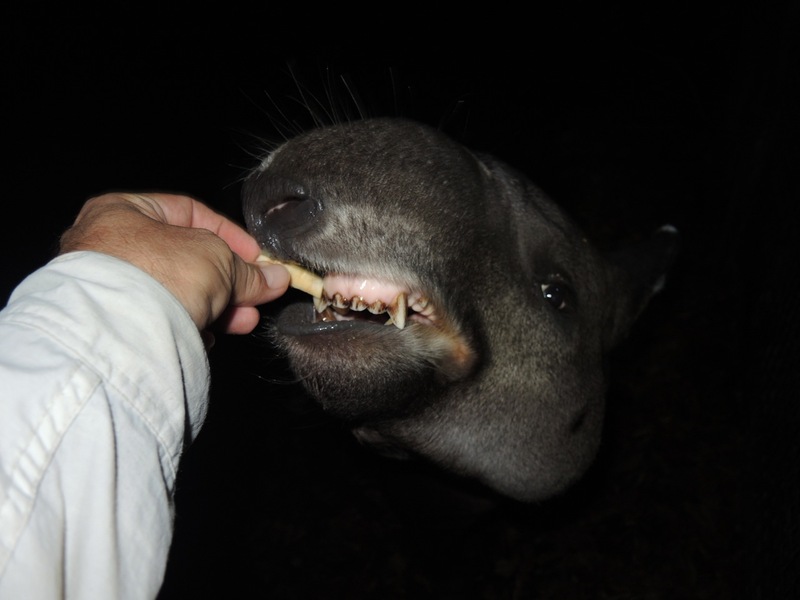 In past trips, we’ve had the opportunity to feed the tapir, kinkajous, agoutis, and jaguars during the night tour – really an amazing experience to get a carrot taken from you by a tapir or a piece of chicken taken from your hang by the jaguar! Day 2 (January 6, 2014) – After breakfast we will board a charter bus for a trip to the ancient Mayan city of Xunantunich. This city is perched on a hill and was once one of the most powerful city-states in the region. It was abandoned in 890 AD and once had a population of approximately 200,000 people. We will have a guided tour of restored portions of the site. We will have lunch at a restaurant (you’ll need to have a bit of cash for the lunch). Then we are taken to our new lodging accommodations at Mama Noots Eco Resort. This resort is located within the boundaries of Bocawina-Mayflower National Park, in the northern portion of the Maya Mountains. Dinner at Mama Noots. Feeding a piece of apple to one of the tapirs at the Belize Zoo. Day 3 (January 7, 2014) – After breakfast, we’ll have the opportunity for various activities including: relaxing around the grounds of the lodge or hiking along the established trails or zip lining or rappelling down a waterfall. The zip lining and waterfall rappel are at additional costs to participants. Day 4 (January 8, 2014) – After breakfast, we’ll load onto a chartered bus for the trip down to the Blue Creek field station in southern Belize. This station is owned by International Zoological Expeditions and is located on the west bank of Blue Creek in the tropical rainforest. We’ll arrive in the late afternoon and will be greeted by children from the village. They will ask to carry your luggage (oftentimes very persistently) over the 1/3rd mile long trail to the lodge. Between $3 – $8 US should be given for each piece of luggage (depending on size and weight). We will have dinner at the lodge and a guided night hike along trails in the forest. Day 5 (January 9, 2014) – This is the start of two full days at Blue Creek. We’ll have the opportunity for various guided hikes for both days. For example: an ethnobotany hike, a birdwatching hike, a hike into a cave system, a cave swim, and activities in the local Kekchi/Mopan Maya village. Breakfast, lunch, and dinner is provided at the lodge. Day 6 (January 10, 2014) – This is our last full day at Blue Creek. We’ll have the daily guided activities as described above and will also have the option of just relaxing and/or birdwatching at any time. Breakfast, lunch, and dinner is provided at the lodge. 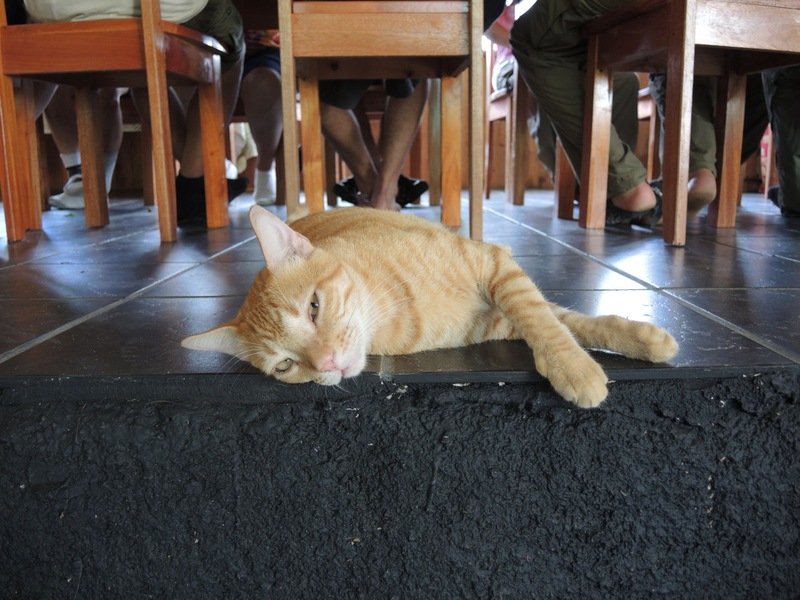 Day 7 (January 11, 2014) – After breakfast, we’ll load into a charter bus and go to the Mayan ruins at Lubantuun. We’ll have a short, guided hike through the restored portions. After our tour, we’ll reboard the bus and head to Dangriga. On the way to Dangriga, we’ll stop (if we have time) at the Mayan Women’s Cooperative Craft Center where you can purchase handcrafted arts and crafts. For lunch, we’ll be stopping at a local small restaurant for a quick lunch (this lunch is covered by the cost of the trip) and then catch a boat that will take us on a 45-minute ride out to South Water Caye. Dinner will be at South Water Caye. Day 8 (January 12, 2014) – We’ll have all of our meals at South Water Caye and our lodging will be in dorm-style housing. We will have the option of upgrading to double-occupancy cabanas for a nominal upgrade cost. In the morning we’ll snorkel along the barrier reef at the south end of the Caye. During each day, we’ll be able to participate in a guided trip to either snorkel locations or to one of the nearby islands. 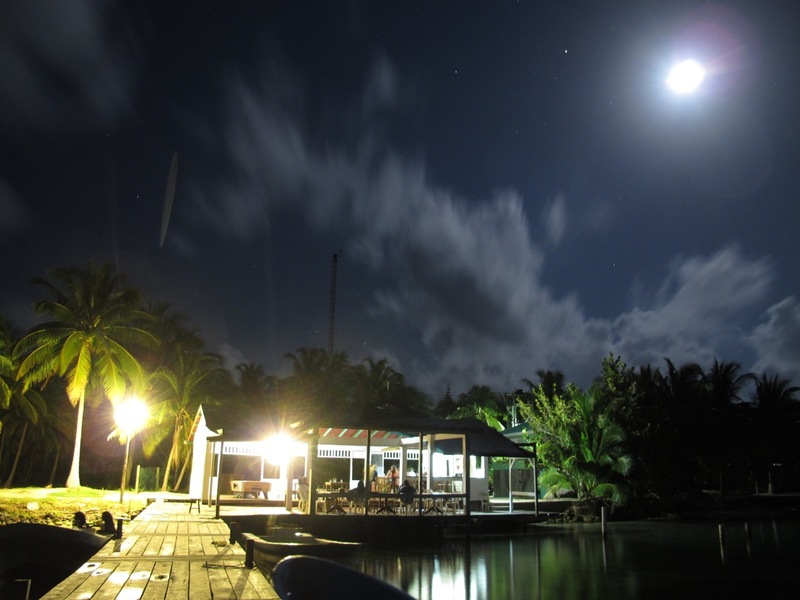 Evenings will be spent relaxing at South Water Caye. Of course, all activities are optional and you can always choose to simply relax and take in the “Island Atmosphere”. 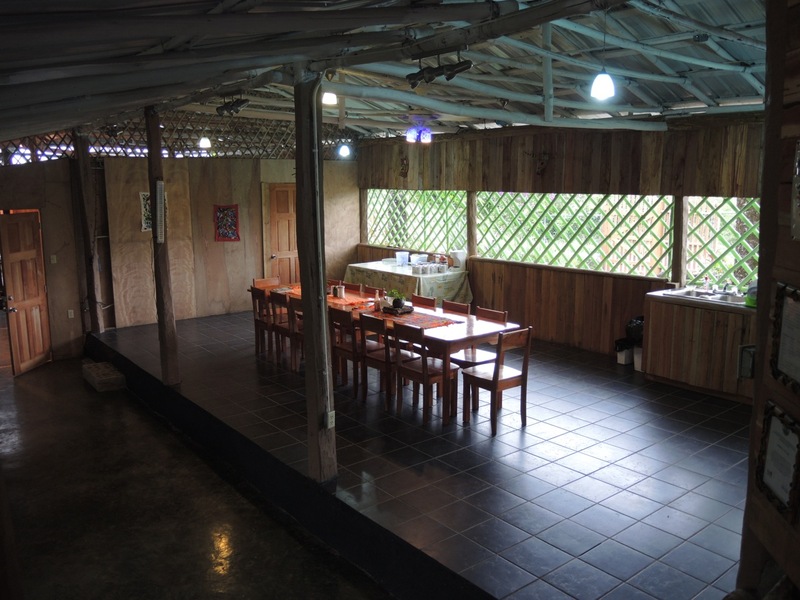 Day 9 (January 13, 2014) – Again, all meals are at South Water Caye and there will be optional activities during the day. One of these activities may be a trip to the Smithsonian’s research facility on Carrie Bow Caye. This is also a spectacular snorkeling spot so we’ll bring our snorkeling gear for after the tour of the facilities. Day 10 (January 14, 2014) – This day would be similar to Day 9 except instead of a visit to Carrie Bow Caye, we’ll go on a snorkeling trip to a patch reef. This is a reef that is just below the surface with no above water component (island) above the reef. This is another wonderful location to see reef creatures. Day 11 (January 15, 2014) – After breakfast, we’ll load our luggage on the boats and get a ride back to Dangriga. On the boat ride, we’re hoping to stop at Man-o-War Caye – a bird sanctuary with a nesting colony of Magnificent Frigate Birds and Brown Boobies. Once we reach Dangriga, we’ll transfer our luggage to a charter bus and be taken to the TREES facility in the foothills of the Maya Mountains. We’ll have lunch here and then can either relax on the various decks or take a hike into the forest or over to the stream. Dinner is at TREES. the evening, we will have a Sambai at TREES. This is a drumming and dancing celebration held by the Garifuna community – a very enjoyable experience. All three meals are at TREES. Day 13 (January 17, 2014) – Our last day in Belize (unfortunately). After breakfast, we’ll have a short period of time to relax before we have to load our luggage on our charter bus for the ride back to the airport. While these are the plans for activities, they may be somewhat adjusted based on their availability and if something new is offered up by the Belizean guides. Past trips have been able to choose from all of the items listed above. Meals are covered throughout the trip with the exception of a couple of lunches while we are on the road. These snacks/meals are not covered in the trip cost. In addition, drinks and snacks are also not covered by the trip cost.